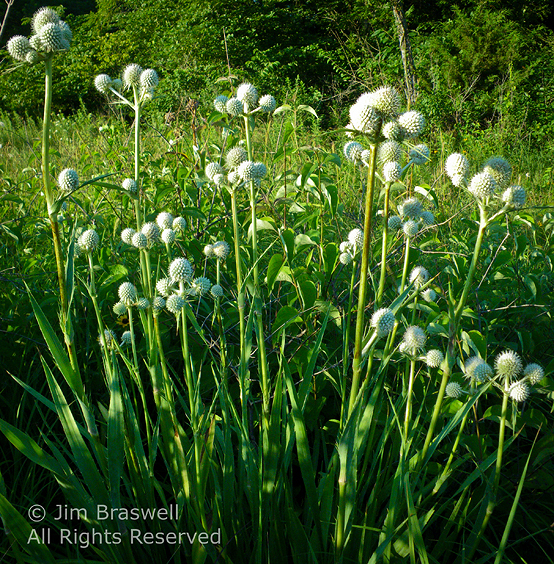 The Rattlesnake Master is another wildflower that grows in glades, prairies, and rocky open woods statewide, except for the southeast lowlands of Missouri. The plant grows to ~4 feet tall. 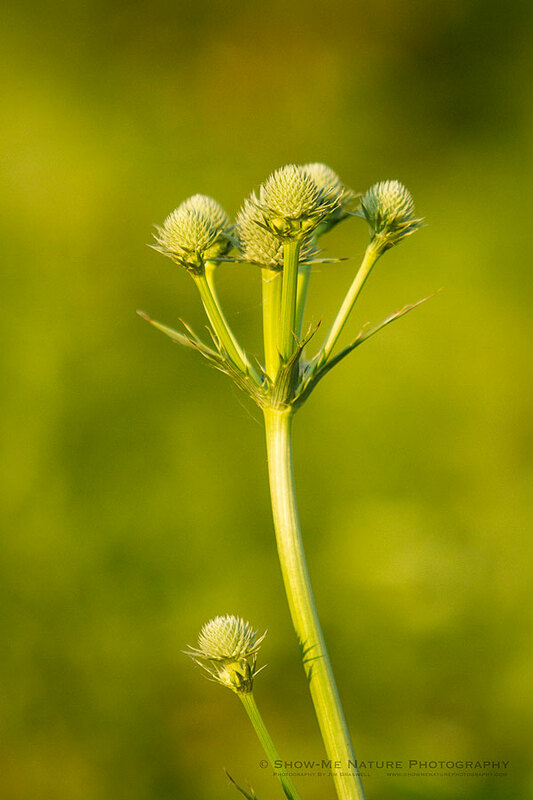 Flowers grow in dense, global heads and are greenish in color. 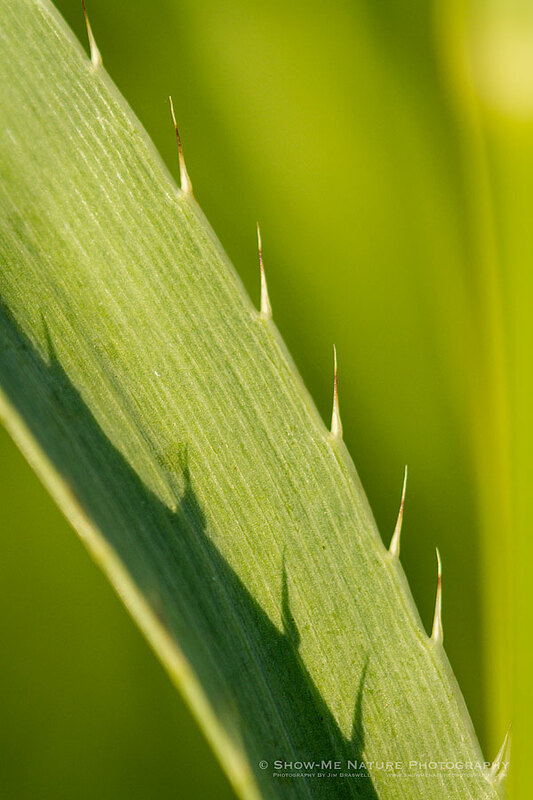 The leaves are “yucca-like”, with the lower ones growing to 3 feet long, bluish and with small spines (shown in the last image, above). An extract is supposed to be effective against snake poison, hence the “snakeroot” name. 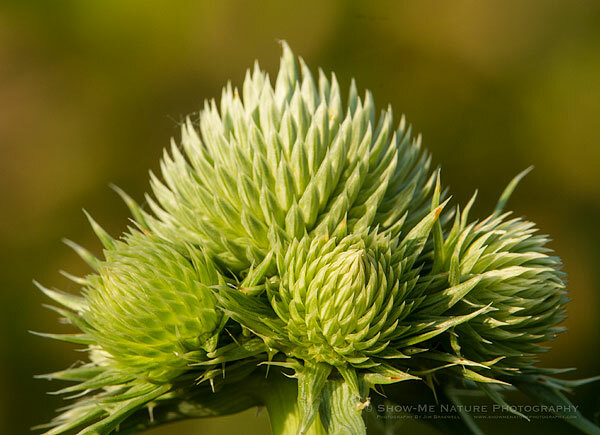 Tags: 2013, Blog, Cass County, macro photography, Missouri, nature, nature photography, photography, prairie, rattlesnake master, summer, wildflower.